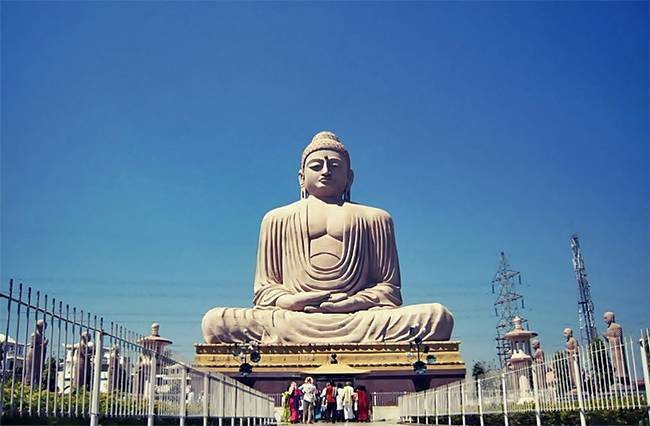 Based on the teachings of Siddhartha Gautam, who later became Buddha, or the enlightened one, Buddhism took birth in ancient India, around the ancient kingdom of Magadha, present day Bihar. Practicing Buddhism is most common in Himalayan regions like Ladakh, Sikkim and Arunachal Pradesh and there are many sites of religious importance to Buddhists in India. 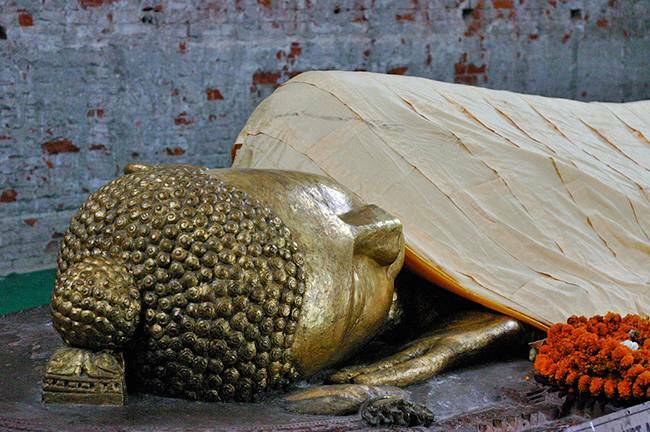 The holy site situated in Bihar where Prince Siddhartha attained enlightenment underneath a bodhi tree and became Buddha some 2,600 years ago. The Mahabodhi Temple located in Bodhgaya became a UNESCO World Heritage Site in 2002. It is one of the best places to visit. 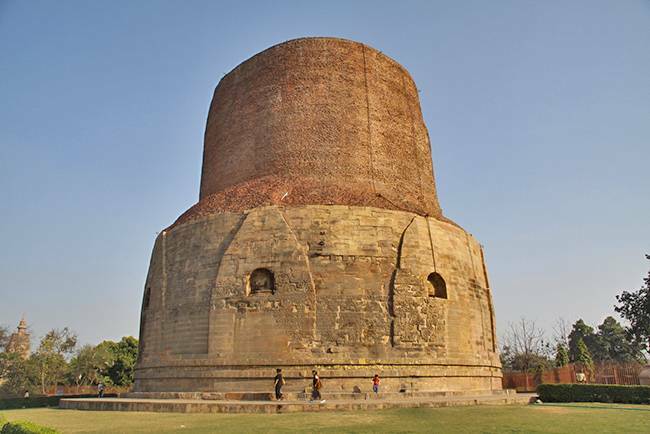 Located 13 km north-east of the holy city of Varanasi, Sarnath is the place where Buddha set the motion of the Wheel of Dharma and taught the four noble truths and teachings associated with it. It also houses the Ashoka Pillar surmounted by the famous Ashokan Lion Capital which became the National Emblem of India and National Symbol on the Indian Flag. 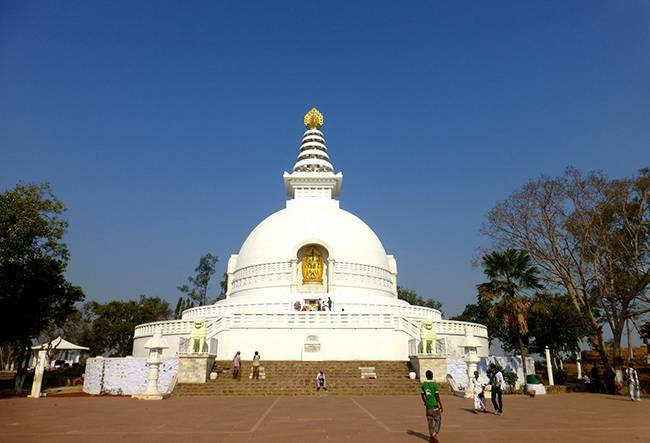 Known as Kushavati in the ancient times, Kushinagar is where Gautama Buddha attained Parinirvana, which occurs upon death of a body of someone who has attained nirvana during their lifetime. 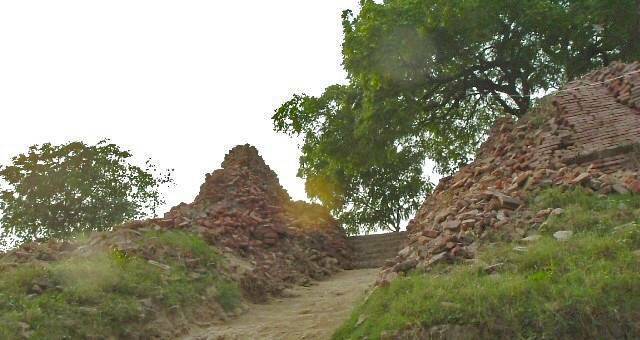 Many of the ruins of stupas here are dated as early as 3rd and 5th century B.C. 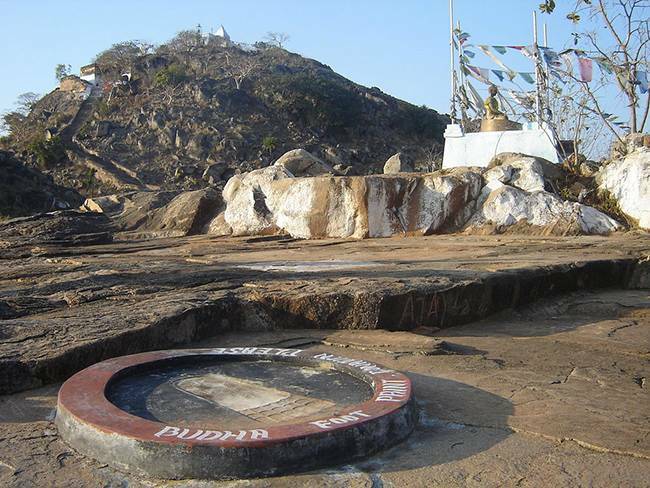 Rajagirha or Rajgir in Bihar is where the second turning of the Wheel of Dharma is said to have taken place. It is also famous for the hot water springs, also known as Brahmakund, and has the Peace Pagoda, Vishwa Shanti Stupa, one of the 80 Peace Pagodas in the world. 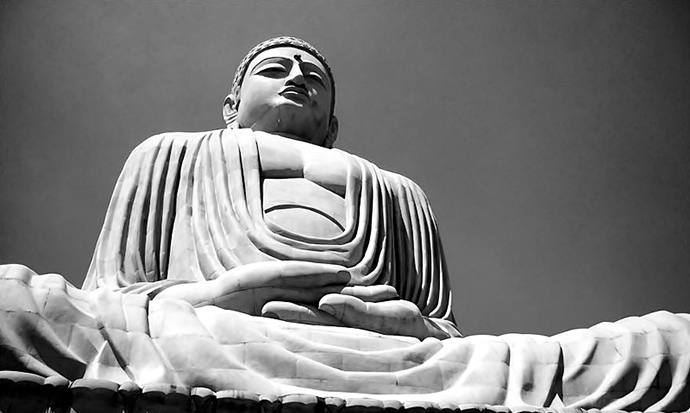 The third turning of the Wheel of Dharma was delivered to an audience of bodhisattvas in the ancient city of Shravasti or Savatthi, one of the six largest cities in India during Gautama Buddha’s lifetime. Jetavana monastery, the most famous Buddhist monastery in India where Buddha gave majority of his teachings and discourses, is also located here. As per the legends, after preaching his mother, Queen Mayadevi, in heaven, Buddha descended from Tushita Heaven in the ancient city of Sankashya. It is one of the last four places common to the Buddhas of the world. 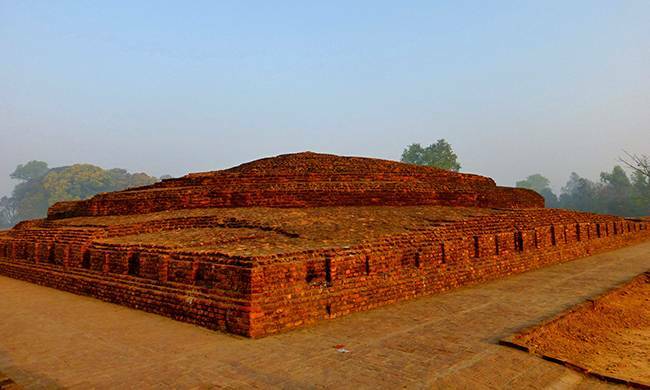 The ancient city of Bihar, which is now an archaeological site, is where Gautama Buddha preached his last sermon before his death in 483 B.C. The second Buddhist council was also held here in 383 B.C. and the city contains one of the best preserved Pillars of Ashoka, topped by a single Asiatic lion. 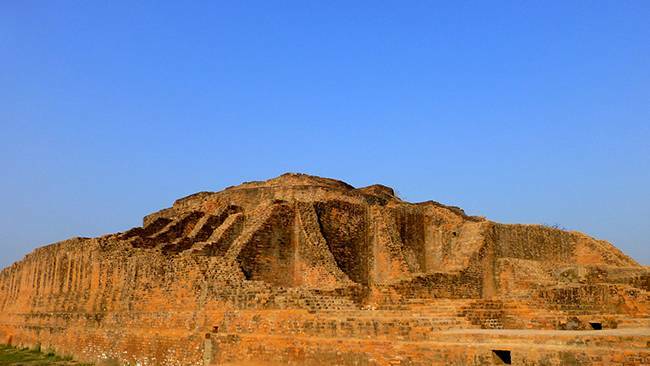 Nalanda was an ancient center for higher religious learnings in ancient India and is located 88 km from south-east of Patna, the capital of Bihar. 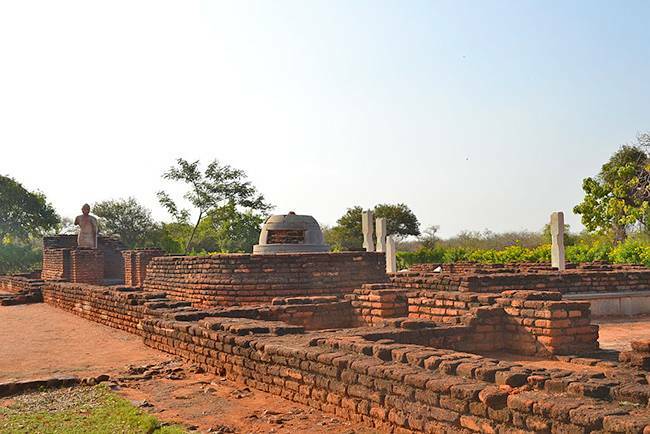 Nalanda was visited by both, Mahavira and Buddha in the sixth and fifth centuries B.C. 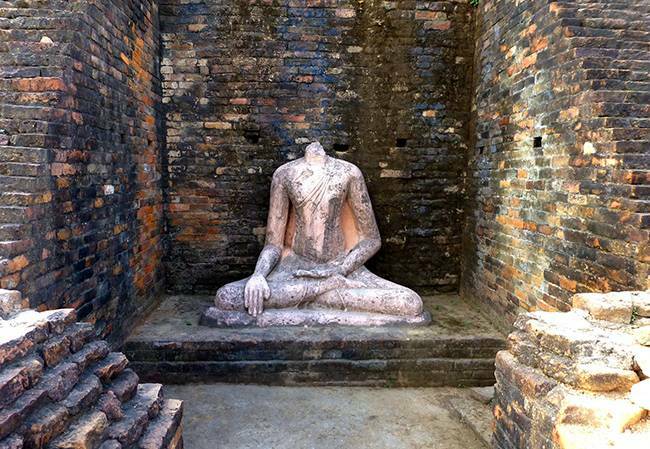 and many famous Buddhist scholars either studied or taught at Nalanda. 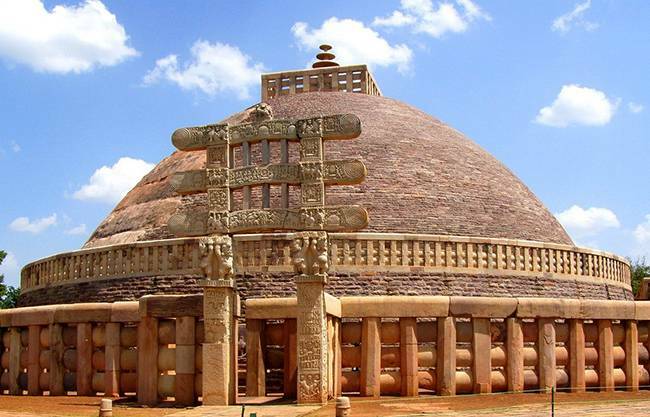 The “Great Stupa”, the oldest stone structure in India, which was originally commissioned by the Emperor Ashoka, The Great, in the 3rd century B.C. 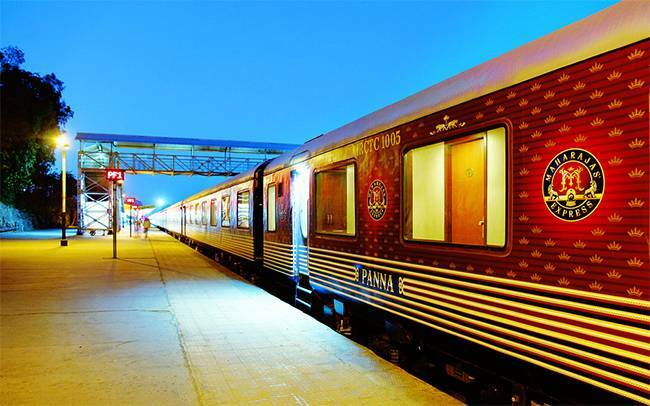 is located in Sanchi. The monuments have been listed among the UNESCO World Heritage Sites since 1989. Once the capital of Shakyas, Kapilavatthu or Kapilavastu is a prominent Buddhist pilgrimage site. 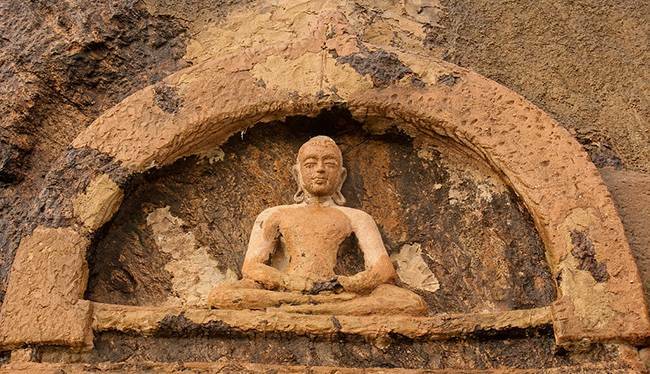 It is believed that before he renounced the material world and became Gautama Buddha, Prince Siddhartha spent 29 years of his life here at Kapilavastu. 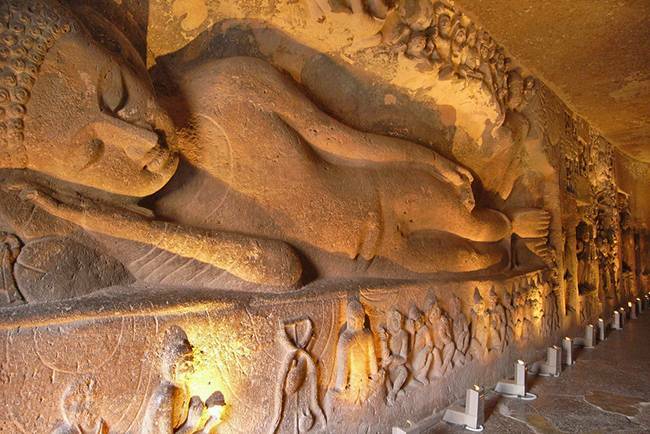 The 3rd-century caves at Ajanta & Ellora are one of the finest masterpiece of historical Buddhist art and architecture. These man made rock-cut caves have beautiful paintings on the walls illustrating the events in the life of Gautama Buddha. Both these caves at Ajanta & Ellora are designated World Heritage Sites. Situated next to modern day Patna, the capital of Bihar, Patliputra was an ancient city built by the Magadha ruler Ajatshatru in 490 B.C. 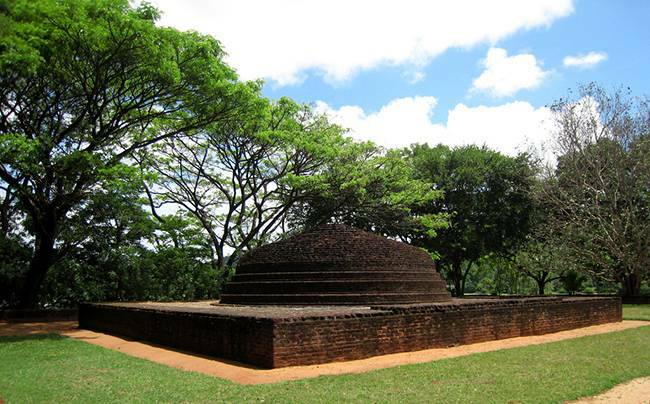 Two important early Buddhist councils were held here, the first at the death of Buddha and second during the reign of Emperor Ashoka The Great. The ancient city of Gaya holds mythological significance and is of religious importance for the Hinduism, Jainism and Buddhism. 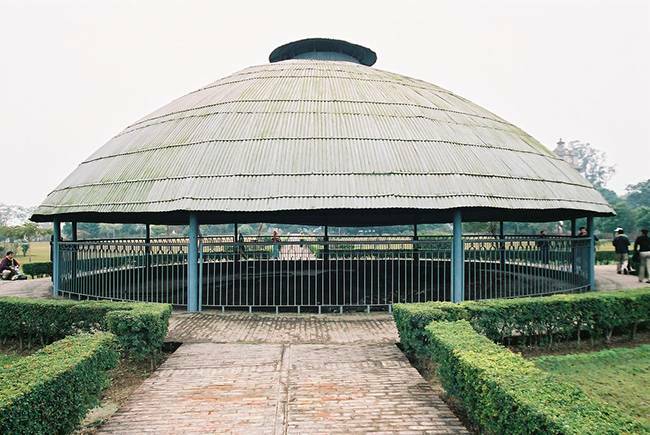 It was at the Gayasisa hill, now known as Brahmayoni Hill, that Buddha preached the Fire Sermon to a thousand former fire-worshipping ascetics, who all got enlightenment while listening to the discourse. Kesariya is the site of the stupa built by the Emperor Ashoka, The Great, which is one of the largest stupas in the world. 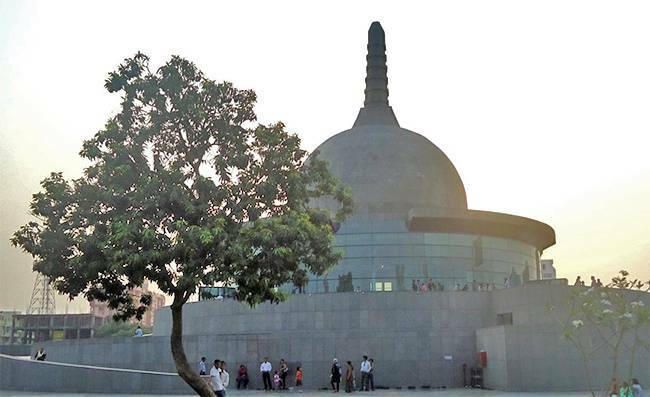 It was here that Buddha preached the famous Kalama Sutta, advocating use of sound logical reasoning arguments and charter of free inquiry. 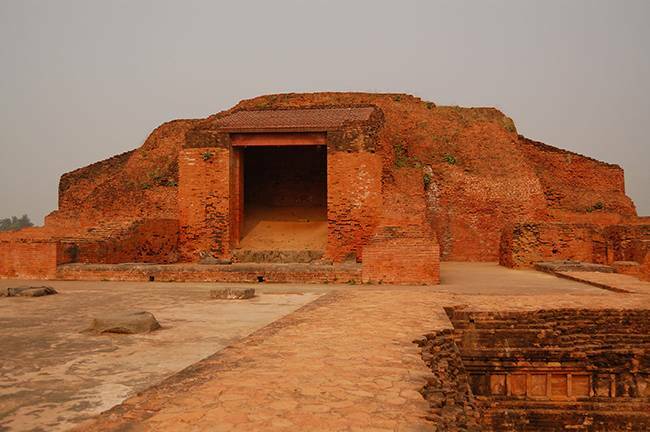 Vikramshila University was one of the two most important centres of Buddhist learning, along with Nalanda University, in India during the rule of Pala dynasty. The excavation of the remains of the ancient university is underway, which has revealed a square monastery, stupas and a library. 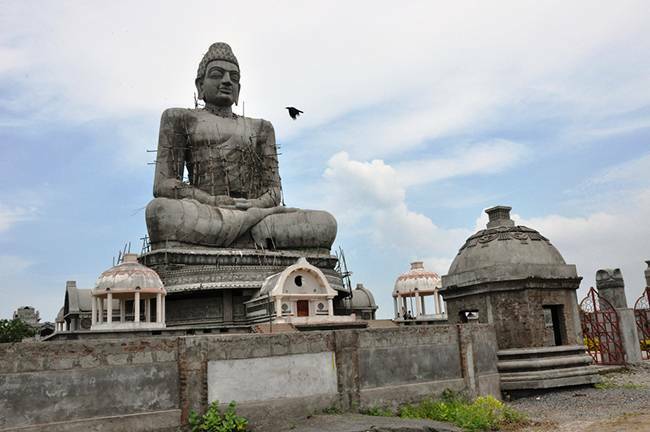 Amaravati in Andhra Pradesh was the site of a great Buddhist stupa built during the reign of Emperor Ashoka The Great. Built in 200 B.C., it is decorated with carved panels and adorned with standing Buddha figures which tell stories of Buddha’s life. Nagarjuna Konda, or the Hill of Nagarjuna, named after the Buddhist scholar Acharya Nagarjuna, is a historical Buddhist town located in the Guntur district of Andhra Pradesh. It was a religious centre promoting Brahmanical and Buddhist faiths attracting students from as far as Bengal, China and Sri Lanka. Bojjannakonda along with Lingalakonda are the two Buddhist sites on adjacent hill near a village called Sankaram in Andhra Pradesh. Bojjannakonda is about 45 km from Vishakhapatnam. 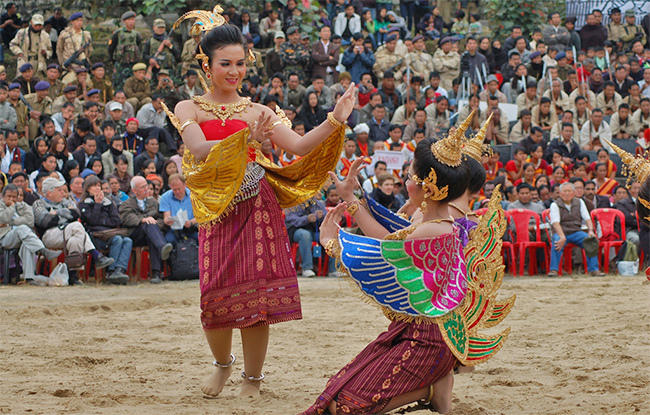 Both these sites are believed to be from 4th to 9th Century when Buddhism flourished in this region.